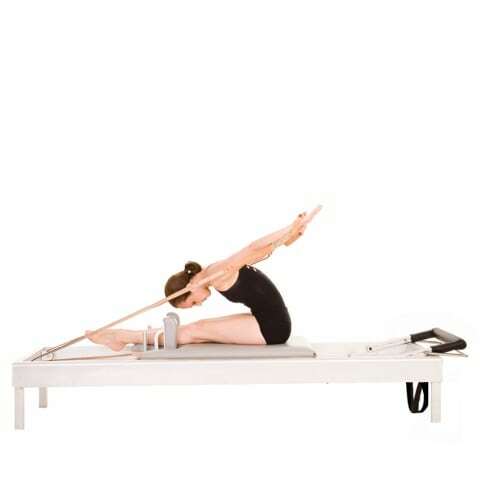 Authentic Pilates Education International teacher training course provides comprehensive training in the classical Pilates system and continuing education credits. We teach the traditional classical Pilates method. Our Mission is to preserve and teach Authentic Pilates (classical Pilates) with current and future generations of Pilates professionals. Authentic Pilates Education International was established in 2011 by principle educator, Olga Tamara. Many APEI workshops have been delivered by guest International teachers including Brett Howard, Simona Cipriani, Jean-Claude Nelson, Miguel Silva and MeJo Wiggin. Authentic Pilates offers comprehensive teacher education through seminars, apprenticeship, independent study, and examinations that make up 600 – 800 hours of training. In addition to the Comprehensive Teacher Education Program there is a Bridging Program and an Independent Study Program catering to experienced Pilates practitioners and those with previous training. Admission to these programs involves an evaluation of physical fitness level and proficiency in Pilates work. Why choose Authentic Pilates Education International? Our course faculty include second generation Authentic Pilates teachers who were taught by and trained with the best first and second generation teachers. Our passion for preserving the Authentic work is unparalleled. Students learn from teachers who are dedicated to teaching the system of Contrology as created by Joseph Pilates. Our classical pilates seminars are all presented in face-to-face delivery to receive the best in hands on, practical teaching techniques and to fully understand the Pilates system. Authentic Pilates Education International provides continuing education for teachers who have successfully completed the comprehensive Teacher Training. 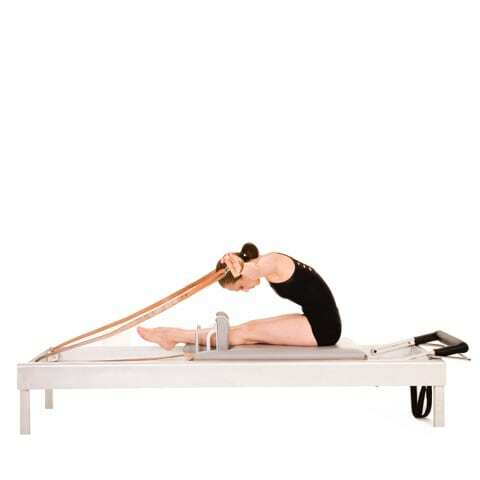 We only use traditional Pilates apparatus including Reformers, Cadillac, Wunda chairs, Arm Chair, Ladder Barrel, Spine Correctors, Small Barrels, Magic Circles, Pedipoles, Push-up Handles, Toe Correctors, Neck Stretchers, Foot Corrector, Breathasiser, and Sandbags. Classical Pilates is a series of traditional exercises created by Joseph Pilates and executed in the order he created with a system in mind. The sessions are strong full body and mind workouts! Classical Pilates includes all the actual exercises that Joseph Pilates created. These exercises are verified through the Elders, documentation, historic video footage and photographs. A Classical Pilates teacher teaches only these exercises. When they teach an exercise that is not Pilates, they clearly state, “This is not a Pilates exercise…” and briefly explains where it does come from (their own creation, physical therapy, yoga, etc). Classical Pilates teachers believe that doing the traditional authentic work, truly crafts the body and mind into balance. Joseph Pilates’ exercises are simple enough, challenging enough and “deep” enough to delve into for a lifetime. 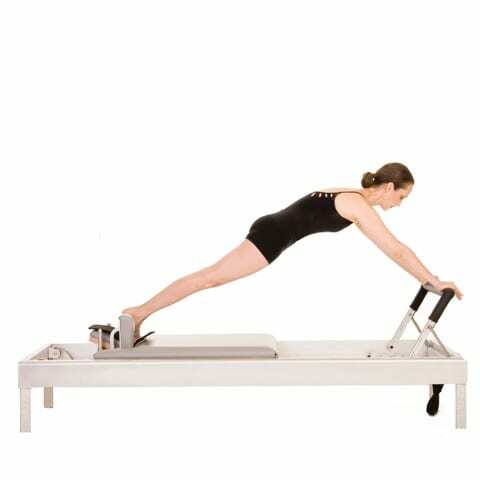 Joseph Pilates created a set order of exercises and repetitions on the mat and reformer. A Classical Pilates teacher follows this order which was designed to warm up the body, challenge it, and then cool it down. During the first part of the session, the instructor will gather information about the body in front of them. They then choose exercises using other apparatus which will enhance their work or help strengthen weaker areas of the body and stretch out those tighter areas now that the body is warm enough to take the body to the next level. Classical Pilates teachers might omit exercises to make it suitable for the level of the client ie: beginner exercises (the foundation), intermediate exercises (physically accessible and appropriately challenging to the majority of studio clientele), advanced exercises (challenging for very strong, normal healthy client) and super-advanced exercises (providing that extra challenge for elite athletes and Pilates professionals). Some devoted clients will perform some of the more challenging advanced and super advanced exercises but they are rare and have been practicing Pilates for many years. A healthy client should be challenged in stamina, strength, flexibility and stability. Those who have pathologies or special cases still get a challenge, but their condition is of course taken into account during the course of their workout. Pilates is an endless body of work which will keep both teacher and client challenged for the rest of their lives!